Look no further for YOUR home! 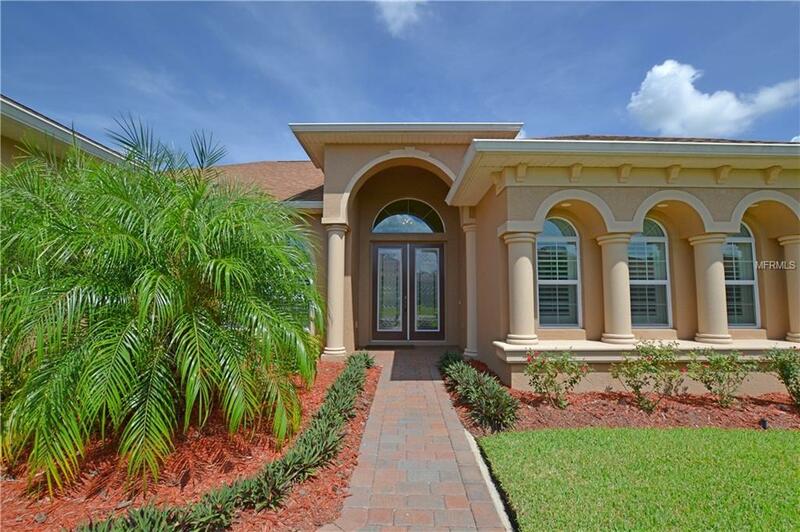 Located behind the secure gates of Lake Ashton, your friends and family will be envious when they visit you in this lovely Ashton Floor plan home. The manicured lawns and lush landscape greet them when they arrive. Welcome them at the entry with double glass decorative doors. Triple sliders in the Living Room and Double Sliders located in the Eat In Kitchen area provide plenty of natural light in this Green home with Energy Savings. Dining room has plantation shutters on the windows, and is perfect for entertaining. 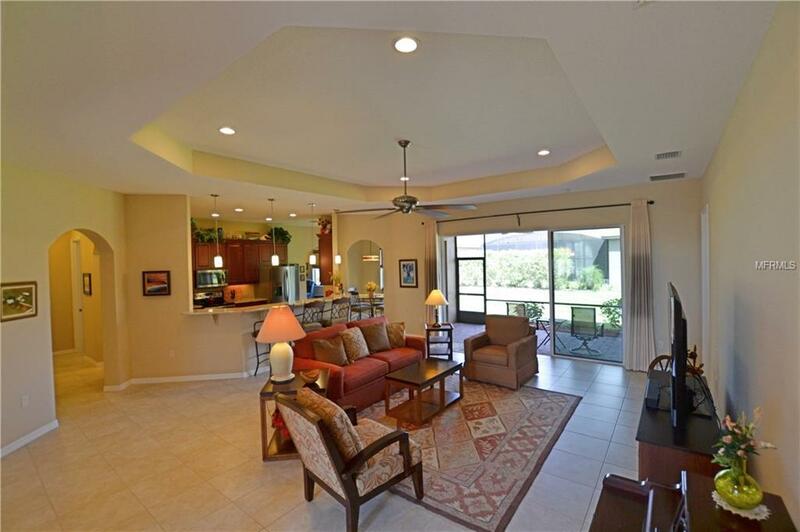 Living room and master bedroom offer tray ceilings. 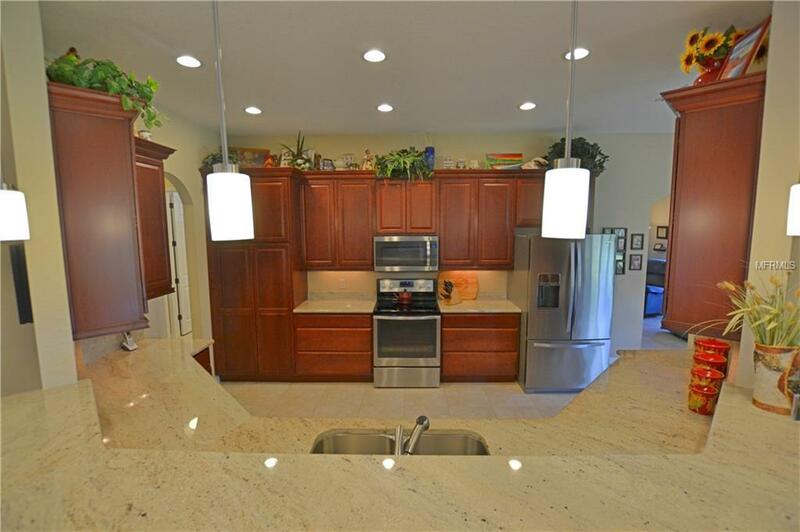 Kitchen features 42" solid wood cabinetry, granite counter tops, stainless steel appliances, and under counter lighting. Light fixtures have been upgraded to Brushed Nickel and fans are in every room. Home offers two guest rooms, a separate Den/Office to relax in, Bonus Flex Room for additional storage, and a Master suite. Master Bedroom retreat showcases two large walk-in closets, a walk in shower, dual raised vanities, a custom storage area/window seat and plantation shutters on the windows. Bonus Flex Room has a washer/dryer, a separate wash tub and offers a ton of space for a craft area or additional storage. Rain gutters have been installed on the front and back of the home. Separate Irrigation Meter Installed. 2 Car Garage, Plus Golf Cart Garage. Washer/Dryer convey. Golf Cart conveys. 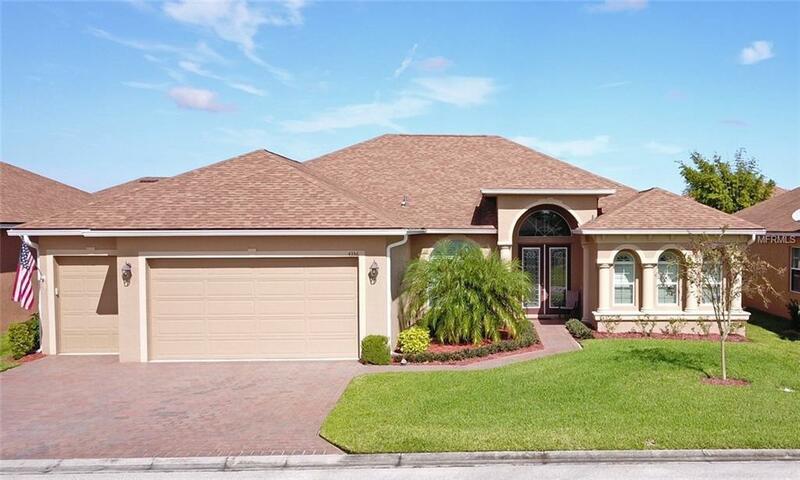 One Year of Free Golf Included with the Purchase of This Home.